Whether you’re replacing the unit you have or upgrading your home with a new feature, we can help. Give your HVAC appliances a little TLC. Our team will help them run as good as new. You can book, change or cancel your water heater repair appointment at any time online or over the phone. We’ll update you about your water heater repair appointment via text, email or phone–whichever you prefer. 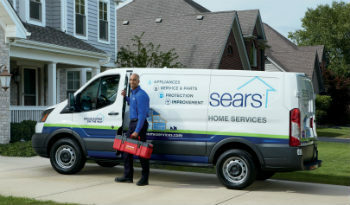 Sears Home Services is the only nationally authorized Kenmore service provider.